The Bay of Naples includes the ‘frozen city’ of Pompeii, the only active volcano in Europe, the striking Amalfi Coast and many more wonderful places to see. 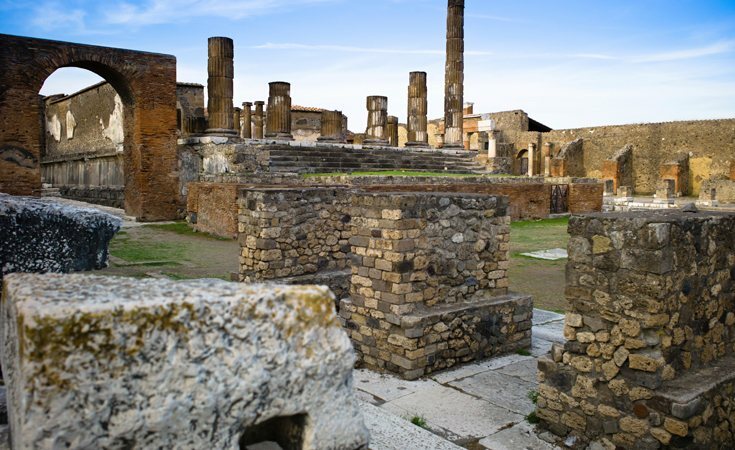 Pompeii is one of Italy’s most visited tourist attractions and it’s not hard to see why – there are so many other varied attractions to visit once you’re there. Whether you want to gain an understanding of how the Romans lived, take in the breath-taking views, go for long hikes, or enjoy the stunning weather on the beach, there is something for everyone. 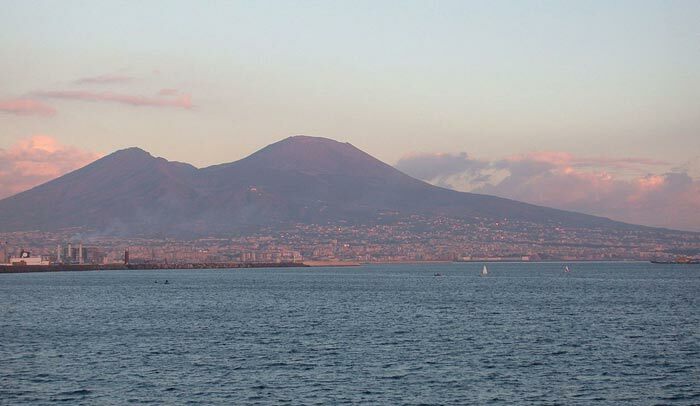 Getting to Pompeii from the UK couldn’t be easier; a simple direct flight to Naples, Italy. Plenty of airlines fly directly from various locations around the UK, and the flight lasts less than 3 hours. Once you arrive in Naples, Pompeii is around a 40-minute drive away and there are multiple ways to get there. The cheapest transport would be to get the Circumvesuviana train that runs to the east of the city around Mount Vesuvius and links Naples to Pompeii and Sorrento. From Naples you should get on at the Porta Nolana Station (it’s the only train that stops at this station) and go straight to Pompeii, or Sorrento. However, if you’d prefer there are many taxi companies that will take you the short drive along the coast. Sorrento is known as the ‘jewel of the Amalfi Coast’ and this civilised old resort town will not disappoint. 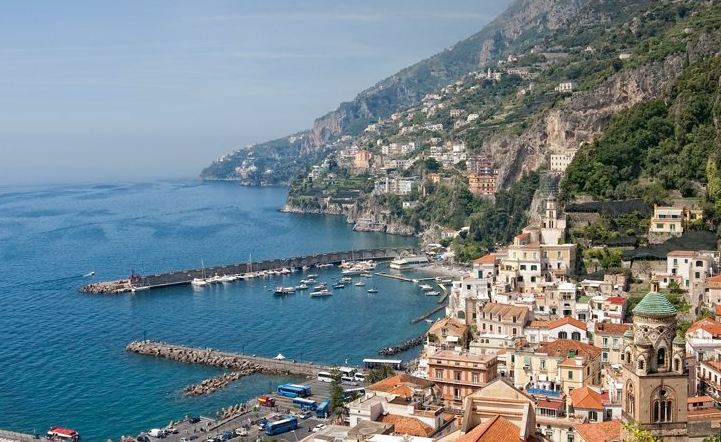 The town sits on the cliff overlooking the water that takes you to Naples and Mount Vesuvius. It is the perfect location to stay as it is central to so many of the wonderful local places, mentioned below, that you’ll be eager to explore. The Romans initially thought that Vesuvius was just a normal mountain, but they found this not to be true in 79 AD when it erupted and destroyed the cities of Pompeii and Herculaneum. It is now the only active volcano in mainland Europe (although its last eruption was back in 1944). It is now a national park that welcomes over 400,000 visitors each year who trek to the rim of its cone and look deep into the crater. It’s a spectacular sight that you won’t forget in a hurry. The eruption of Vesuvius in 79 AD meant a thick layer of ash poured down on Pompeii and life came to a complete standstill for the citizens. The town remained unusually intact – not just the buildings themselves but the mosaics and many items inside them. This allows visitors to browse and gain a real understanding of what daily life was like for Romans all those years ago – there is nowhere else like it in the world. Sorrento is the ideal place for you to stay on your trip, it is a delightful old resort town that showcases some magnificent sea views. Be sure to explore the town on foot and really take in the sights. The only thing this town is missing is beaches, but there are plenty to visit nearby. This coastline does not only enjoy spectacular panoramas, beaches and hikes, but is famous for the outstanding restaurants that are tucked away here too. Sorrento itself is part of the Amalfi coast and will not disappoint when it comes to scenery – but, the whole stretch is truly breath-taking. A definite place to stop off for a lovely beach is the town of Positano, you might even bump into some celebrities whilst you’re there! To make the most of a day trip to Capri, make sure you rise early. It may be a small island, but there’s plenty to do. 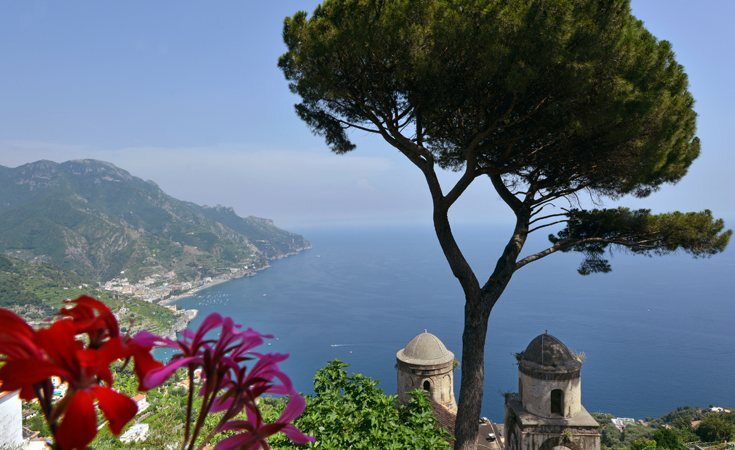 A few musts whilst you’re there are: take the chair lift to the summit of Monte Solaro, spend time soaking up the atmosphere in Capri town, go to see the cave of Blue Grotto and browse the Gardens of Augustus. It’ll be a busy day, but it will be worth it. The museum contains large collections of Roman artefacts from Pompeii, Stabiae and Herculaneum. It is a real insight into the lives of people who lived 2,000 years ago, and, is a must-see when in Naples. Of course there will be plenty of pizza, it was originally invented in Naples, so it would be rude not to try! A margherita uses the most simple of ingredients: pizza dough, tomato sauce, mozzarella and basil – delicious. Pasta dishes generally have a sauce that includes lots of locally sourced products – garlic, tomatoes, oil and fish. In fact, classic Neapolitan pasta dishes include lots of seafood; you’ll find mussels, clams, squid and many more in abundance. Spaghetti alla Puttanesca is also a firm favourite (this translates as ‘whore-style spaghetti’) and is made with tomatoes, garlic, hot pepper, olives, capers and parsley. Don’t be afraid to try pasta dishes you’re not familiar with – you’ll do well to find one that isn’t delicious in this area. Cheese is a big part of the Italian’s diet – ricotta, mozzarella, fiordilatte (similar to mozzarella but made using cow’s milk), porvola – you name it, there will be plenty to try. If you’ve still got space for something sweet, then you won’t be let down. Gelato is a must. And, the pastries, known as babà, are fabulous too – they are usually flavoured with rum or limoncello and will not disappoint. Whilst we’re on the subject, a visit to Italy wouldn’t be complete without a glass, or two, of homemade limoncello. The fabulous liqueur gets its vibrant colour from the infusion of skins from locally-grown lemons. Enjoy it served ice cold after dinner – what could be better? Bearing in mind the fantastic sightseeing there is to be done in this wonderful corner of Italy, it’s more comfortable to visit when the temperatures aren’t at their most scorching. If you plan a visit during April, May, September or October you are very likely to catch some gorgeous weather. Temperatures in these months usually range between 20-25°C, but be warned, there can be some showers. During July and August it really is hot – the beaches may be very busy at this time, so, plan your trip accordingly. 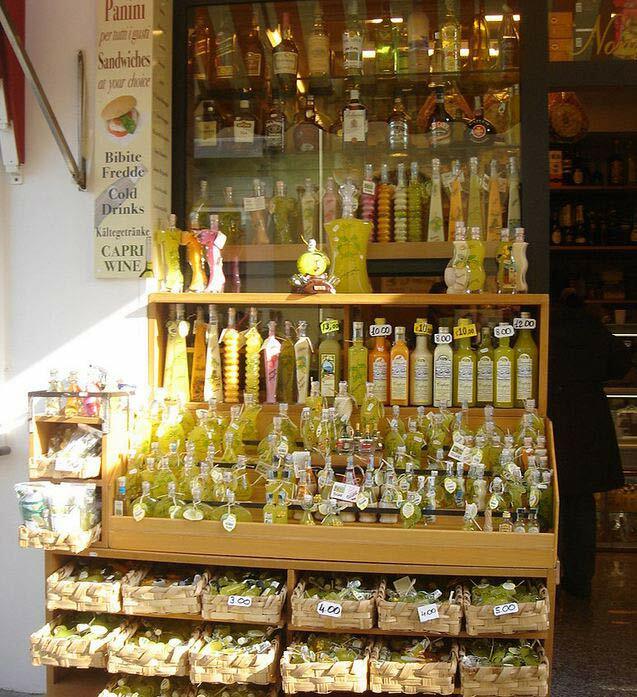 A bottle of Limoncello is worth taking home with you as well as fragrant olive oil but, as you can’t carry liquids in your hand luggage, you’ll need to pack in bubble wrap in your suitcase. Other delights worth thinking about buying are handmade jewellery, leather goods and dried tomatoes. You’ll also see many beautiful musical boxes with marquetry. If you’re inspired to book a trip right away then we’ve got just the thing for you. 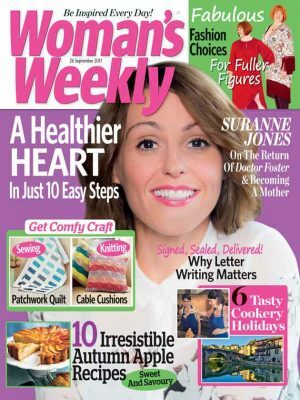 Over on the Woman’s Weekly Travel Shop, in association with Riviera Travel, you can book a delightful 8 day trip. On the trip of a lifetime to Pompeii, Capri and the Bay of Naples, you’ll stay in the wonderful Sorrento and get to see many of the activities mentioned above. The holiday includes flights, dinner each night, all your hotel costs, breakfast and all excursions too! Activities included are: a walking tour of Sorrento, cruise to Capri, visit to Vesuvius, guided tour of Naples Archaeological Museum, a visit to the Pompeii ruins and much more. 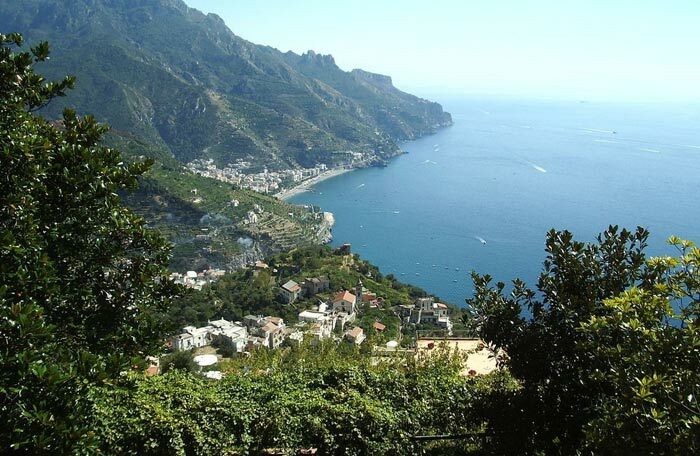 Plus, you’ll get to visit the hill-top Ravello which enjoys stunning panoramic views of the Amalfi Coast. Feel ready to book your trip? Click here to go to our website, or alternatively call 01283 742300 between 9am-5pm, Monday-Friday.